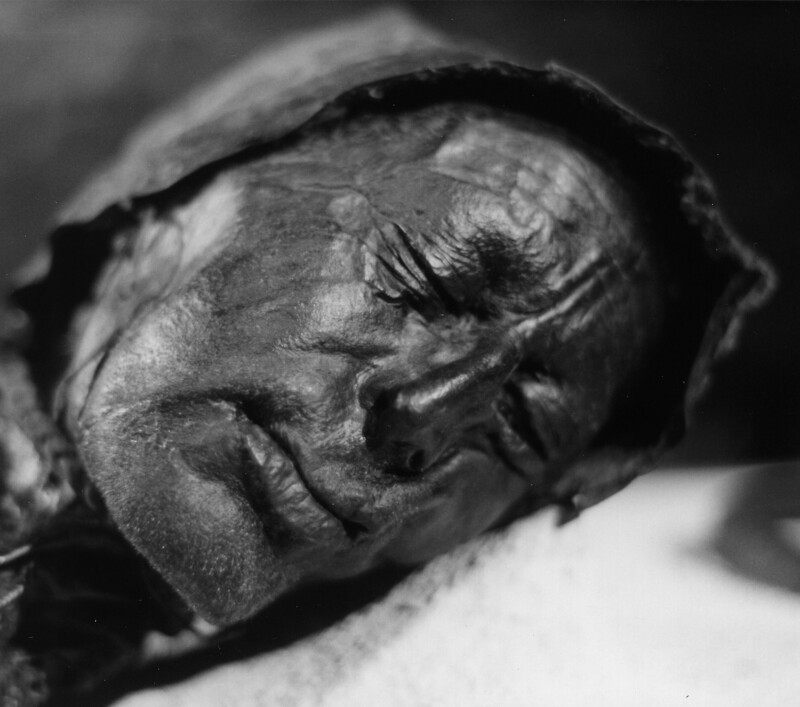 Seamus Heaney’s “The Tollund Man” is an elegiac poem, (although in quatrain form) for an ancient sacrificial bog man found by peat cutters in Denmark. The speaker in the poem relates the geography of Jutland to his home-country of Ireland, particularly the “fen” or bogs, which were used as burial grounds for people sacrificed to pagan gods in both countries, (in this case the fertility goddess). In the third and final section of the poem, the speaker expresses being able to not only relate to the land, but also the Tollund Man himself, since “Something of his sad freedom / As he rode the tumbril / Should come to me, driving…” (“The Tollund Man” lines 33-35). Heaney’s diction is particularly significant in this case because the choice of the word tumbril can convey the poem’s meaning almost entirely, and its plethora of definitions evoke multiple metaphors and interpretations. The Oxford English Dictionary’s two most common definitions of the word tumbril, (or tumbrel) have two entirely different meanings. The first definition entails the modern perception of the nature of the bog man sacrifice, as the tumbril is described as “an instrument of punishment, the nature and operation of which in early times is uncertain…” (OED online). The second definition reveals the more literal usage of the word that Heaney infers, which is “a cart so constructed that the body tilts backwards to empty out the load; esp. a dung-cart” (OED online). The implication that the tumbril is especially used as a dung cart also brings about negative connotations for the word, however, Heaney acknowledges that the sacrifice was an act of holiness because the speaker of the poem stops to “pray / Him to make germinate” (“The Tollund Man” lines 23-24). The use of the word tumbril is contradictory, as the speaker associates the cart with the car he is driving in, implying that there is a sense of honor in being put on display in a vehicle on the way to being sacrificed for the greater good of the community. The “sad freedom” that both the Iron Age victim and the modern speaker feel lends to the profound beauty in having a willingness to die. There is no doubt that the word has demeaning undertones, not only with the aforementioned use of the tumbril as a dung cart, but also the historical allusion of the tumbril being the vehicle that was used to carry prisoners in the French Revolution to the guillotine. However, like the implications of King Louis the XVI and Marie Antoinette being sent to the chopping block aboard a simple cart, there is a sense of respect in being given up to the earth goddess in order for there to be a good harvest, which is similar to the sacrifice of the royalty for the good of the revolution. In the same respect, the long ride in the tumbril is essential to the bog man’s acceptance of death in the same way as it is to the speaker in the poem. Interestingly enough, Heaney does not give any evidence of proof that the Tollund Man had actually been carried to the spot of his sacrifice in a tumbril, or any kind of vehicle for that matter. Yet the speaker is so certain about this point not only because it elevates the meaning of his death, but because otherwise there would be no association that would connect the speaker to the bog person. One of the first shown peculiar structural idiosyncrasies of “The Tollund Man” is that the voice speaks in future tense. This gives utmost importance to the idea of the tumbril, because in retrospect, the reader realizes that all along the tone of the speaker in first person is as if he is on his own tumbril ride to his awaiting grave in the earth. The bewilderment the speaker feels on the ever-moving tumbril of life is graceful and sad all at once, and ultimately when he reaches death he “will feel lost, / unhappy and at home” (“The Tollund Man lines 43-44). The well-preserved face of the over 2000 year old Tollund Man. Heaney, Seamus. “Wintering Out.” Poems, 1965-1975. New York: Noonday, 1980. Print. “tumbrel | tumbril, n.1”. OED Online. December 2013. Oxford University Press. 28 February 2014 <http://www.oed.com.proxy.libraries.rutgers.edu/view/Entry/207364?redirectedFrom=tumbril&>. my tree-trunk-brain I become despondent and relent, and yet it is too late]. The tiniest sounds become frightening. The winds knock limbs loose. The light loses its soothing touch.